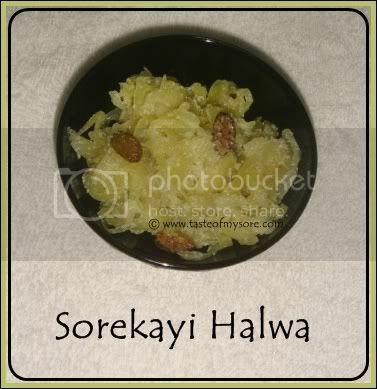 Sorekayi/Doodhi/Bottle gourd is a vegetable which I like in halwa ;)than in curries. Last week when I had one big gourd in my vegetable tray I chose to make halwa. 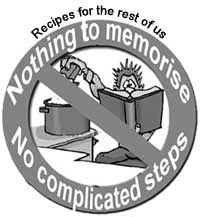 It is a easy peasy recipe which I think any one can prepare. I am not giving exact measurements here..just add everything in approximate quantities..
2.Coat your pan with a tbsp of ghee. Heat the pan and add grated gourd. Fry till raw smell dissappears from the guard. 3.Add 2 cups of thick milk and cook gourd in milk. You can cover the pan with a plate. 5.Garnish with chopped nuts/dry fruits of your choice. Enjoy hot or cold dessert. looks delicious..this is a popular karnataka sweet ,isn't it? I thought Siri is hosting this event with Dinner menu! Didn't know Varsha's is still on! seeing doodhi halwa after ages! As a child, I would have this with rotis! 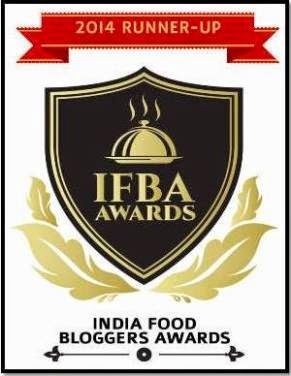 check my blog for 2 wonderful awards.